Astrology has always been very popular, whether you really believe in it or not. People often read their horoscopes and think about how they affect their lives. For example, I am a Taurus and I am supposed be known as someone who is stubborn, loving, has perseverance, loyalty and the ability to think logically and be realistic. And to tell you the truth all of these qualities are things I do exhibit. In Focus Astrology is for the more dedicated person who wants to examine a more detailed view of their Zodiac sign and natal chart. It provides the ins and outs of all the star signs, along with instructions to create your own astrology chart. Included with the book is a fully illustrated reference poster detailing each astrological sign. For example, who is your perfect mate? A Capricorn, Libra or Virgo? Why are not getting along with your co-worker, who is a Gemini? Why are you constantly making the same mistakes in life? In Focus Astrology will give you a deeper understand of your own nature as well as those closest to you. And those you should keep at arm's length. 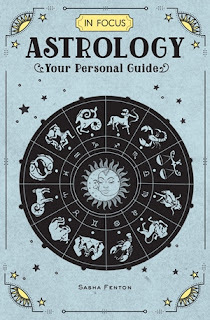 It answers every sun and moon sign question, including how create your own astrology chart. Packaged inside the book is an 18" X 24" illustrated wall chart with the main characteristics of each astrological sign. 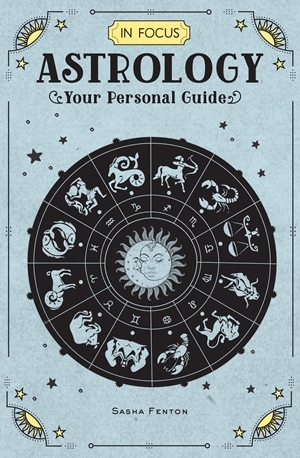 This guide covers the full breadth of astrology topics, including the signs of the Zodiac, sun and moon signs, astrological houses, the planets and aspects. You will also learn how astrology relates to your body and health. The In Focus series applies a modern approach to teaching classic body, mind, and spirit subjects, using expert authors in their respective fields and featuring relevant visual material to smartly and purposely illustrate key topics within each subject. As a bonus, each book is packaged with index cards and/or a poster, to give readers a quick, go-to reference guide containing the most important information on the subject, for easy practice and retention. After longing to know what made people tick, author Sasha Fenton found astrology to give her the answers she was seeking. Ms. Fenton has written astrology columns for many magazines and newspapers, as well as numerous books within the mind, body, and spirit subjects. She has appeared on radio and television programs, presented talks and workshops at spiritual and astrological festivals around the world. She has served as president of the British Astrological and Psychic Society, was former chair of the Advisory Panel on Astrological Education, and was a past member of the executive council of the Writers’ Guild of Great Britain. Most recently, she helped launch MBS Professionals Ltd., a business-to-business service for those who work in the Mind, Body and Spirit professions. She lives in western England. I looked up information about my Zodiac sign and it was dead on about my personality. You would think it would be a bunch of guff but amazingly enough most of what I read was right about it. I'll admit I didn't do the full natal chart but I am giving this to my daughter, because she is really into astrology and does this all the time. I am going to have her do it for me. This would make a great gift for anyone into astrology. Even if they are only slightly interested. In Focus Astrology is 160 pages and comes in hardcover binding. It is available from www.quartoknows.com, www.amazon.com and www.barnesandnoble.com by order. Like Quarto Press on Facebook: https://www.facebook.com/QuartoKnows; Follow Quarto Press on Twitter: @quartoknows; Follow Quarto Press on Pinterest: https://www.pinterest.com/quartoknows and Subscribe to Quarto on YouTube: https://www.youtube.com/channel/UCg6_9Q3TbEXRPspas_bqPHw.